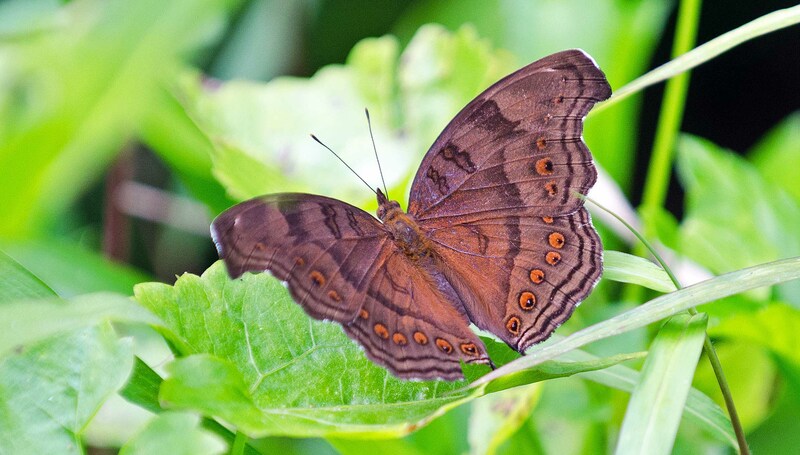 Pansies are butterflies in the genus Junonia, although not all Junonia species are pansies! There are at least 30 species in this genus – and a much larger number of subspecies – with the common names: buckeyes, pansies, or commodores (1, 2, 3). 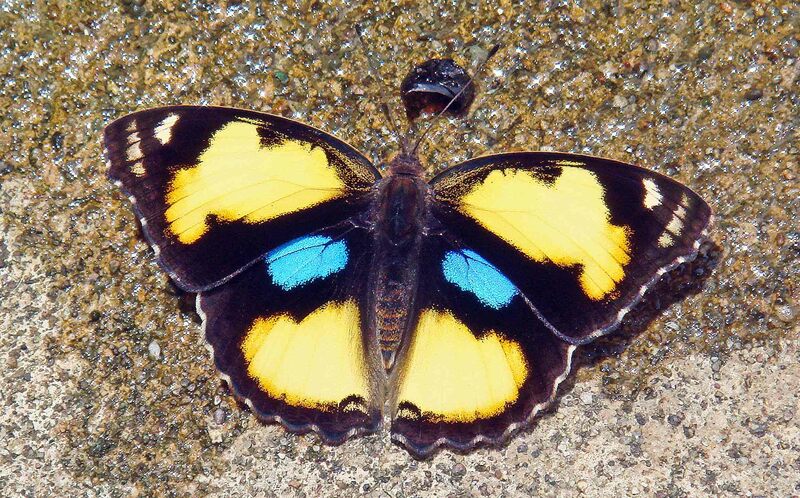 The genus includes a number of very attractive butterflies – often displaying colourfly spots (orange, blue, red and pink) on the wings – and they are found on all continents (other than Africa). 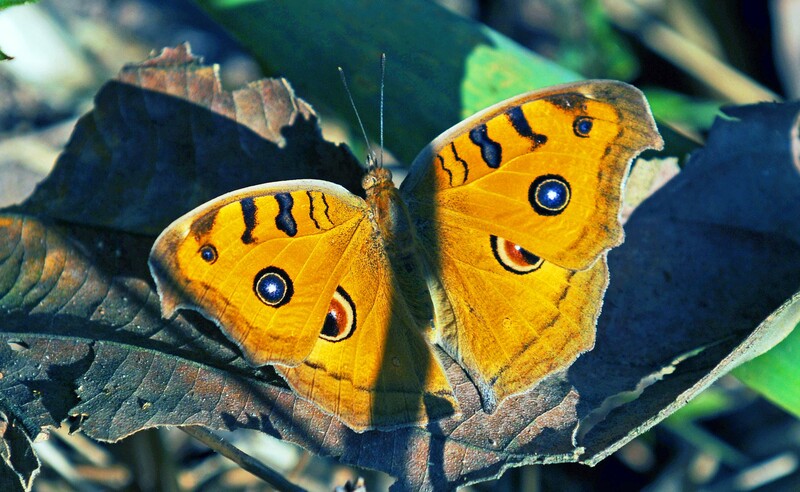 The name Junonia comes from the Latin, meaning peacock. There are at least 15 different species named pansies, but I only have photographed a handful of them, all from south-east Asia. 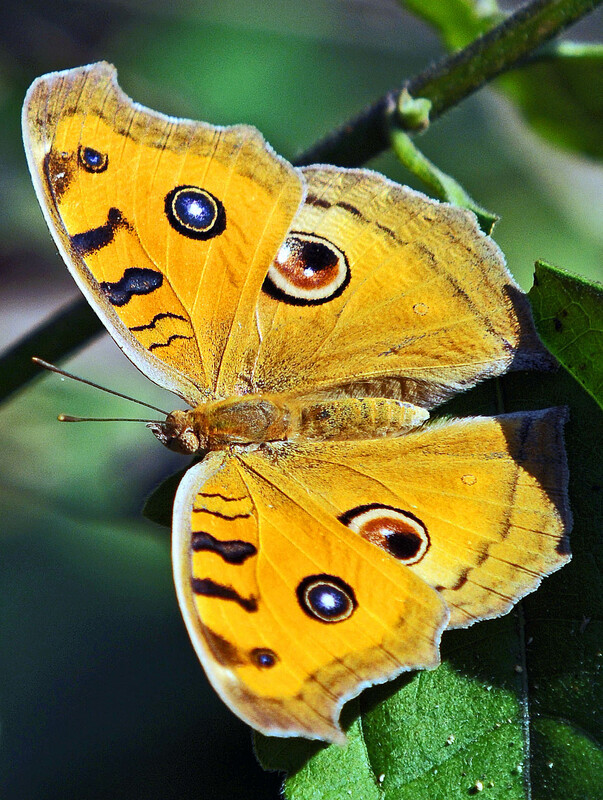 The genus Junonia was first described by Jacob Hübner – a German entomologist (1761 –1826) – in 1819, although many of the butterflies were known already, albeit by other names; i.e. they were placed in the genus Papilio (3, 4). For example, Linneaus had got there first with many of them and had already named the Peacock pansy (1758) the Lemon pansy (1758), the Grey pansy (1763), and the Brown pansy (1764) (3). Three species are shown below. 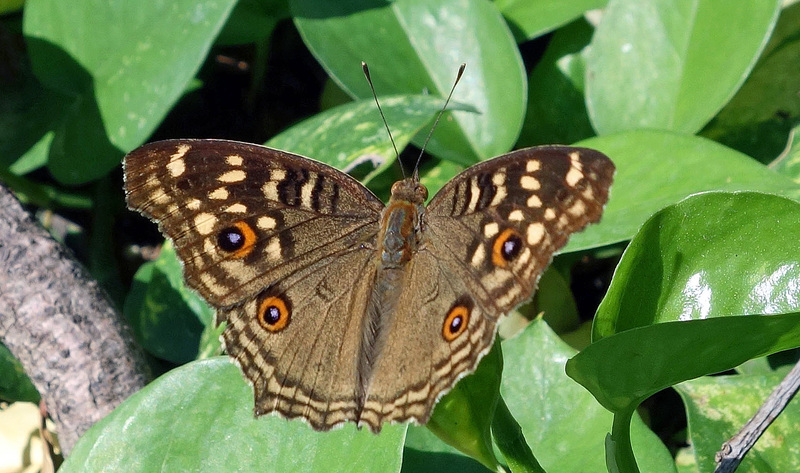 The Yellow Pansy, Junonia hierta (Fabricius, 1798) had been named by the great Danish entomologist, Johan Christian Fabricius (1745 – 1808), who is credited with naming over 10,000 organisms, many of them arthropods. Other entomologists added to the list. Alfred Russel Wallace discovered a new species – named after him as Junonia timorensis Wallace, 1869 – on the island of Timor (Indonesia) (5). 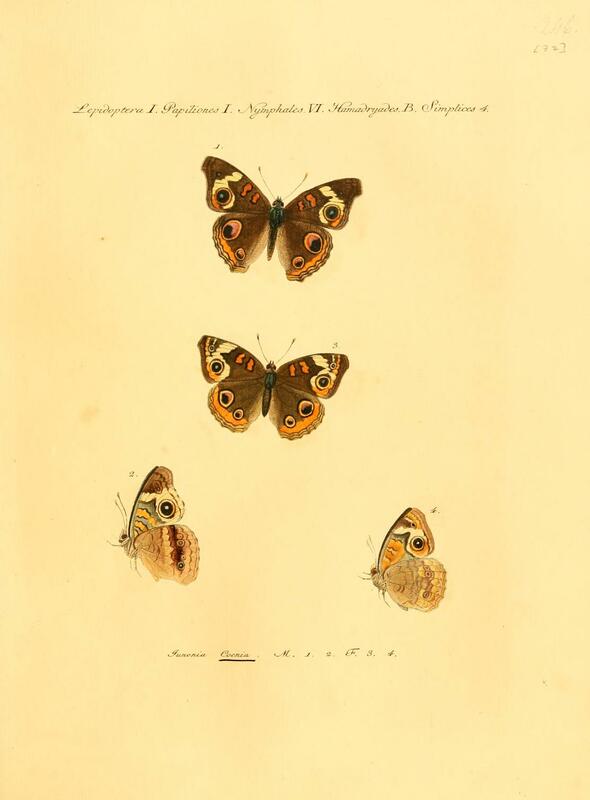 Hübner himself added the Common buckeye, Junonia coenia, in 1822; a beautiful butterfly from North America which is illustrated on Plate 32 of a 1806 text entitled ‘Sammlung exotischer Schmetterlinge’, which was Hübner’s complete works on exotic butterflies (6). It is thought that Hübner was himself responsible for drawing and engraved all the illustrations in this magnificent book (below). Next Next post: A hard nut! Ray Cannon's nature notes A bunch of pansies!